Cevado was founded in 1996 by Chris Raines with the goal of creating appealing, affordable, and highly functional websites to the real estate industry. The business has grown steadily since that time and today employs more than 20 people at our main office in Chelan, WA, and serves over 2,000 customers in offices across North America and Canada. In 2016 Jenn Tate bought the business and rapidly moved to increase our range of offerings to include sellers and buyers websites along with an intensified focus on leveraging the best technology available to build stunning and flexible digital tools and websites that are fully mobile responsive, support search engine optimization, and lead every viewer on a consumer-driven process of discovery. SO WHAT’S WITH THE PIG? Everybody asks. And to tell you the truth, the answer is actually pretty interesting. 24 years ago when Chris Raines was in the process of deciding to start his own real estate website business he gathered a group of colleagues together (okay, they were drinking) to come up with a name for his new business. Someone suggested ‘Cevado’ and since nobody knew what it meant but everyone thought it had a good ring to it, Chris decided to go with it. 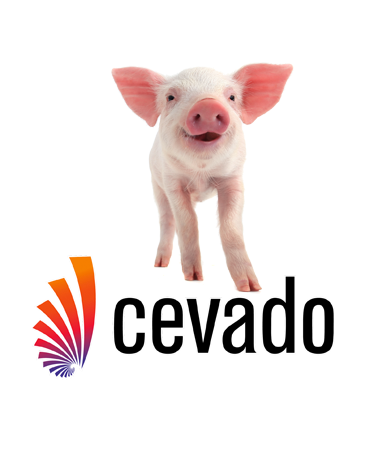 Then, in 2007, with the real estate industry tanking and with bad news seeming to break on a daily basis, someone told Chris that the word Cevado meant ‘pig’ in Portuguese. Chris being who he is, immediately decided to embrace the name rather than change it and ever since we’ve sort of used the pig as a kind of in-house mascot. That is until Jenn Tate bought the business in 2016. Then, one night over dinner at a local restaurant (and, yes, there might have been some drinking involved) it was decided that the Pig did a great job of representing exactly the kind of quirky, provocative, no apologies, straight shooting, whatever it takes kind of business we wanted Cevado to be. 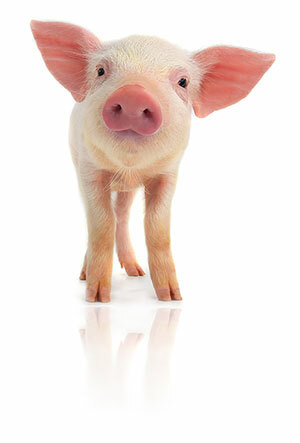 Which is probably why the Pig is on the landing page and not Jenn.